Well, long time no see on the East Coast, my friend! Is it just us, or does this guy bear a striking resemblance to the main amphibian in Mr. Toad’s Wild Ride? 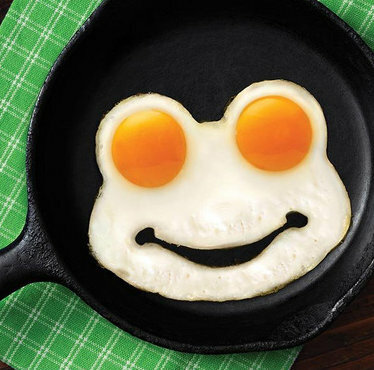 We love any excuse to get together with our crazy, old reckless pal, Mr. Toad again This Funnyside Up Egg Mold is giving us the feels and the stomach growlies all at the same time. OMG he is absolutely adorable! I love an obscure reference, and Mr. Toad is Disney royalty. I can never get the hang of these egg mold things, but that is cute!